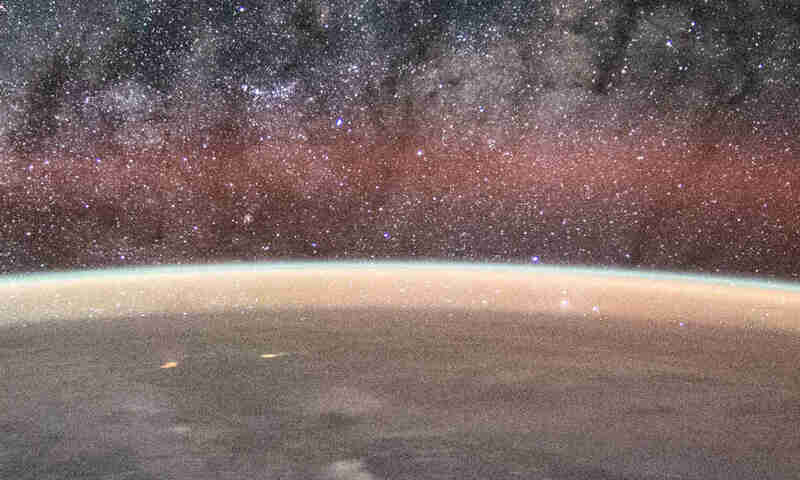 In an interview, Donald Pettit —a NASA astronaut— mentioned that he’d go the moon, but they no longer have the technology to do that. All the technology from the Apollo mission has been destroyed, and it is a painful process to build it back again. 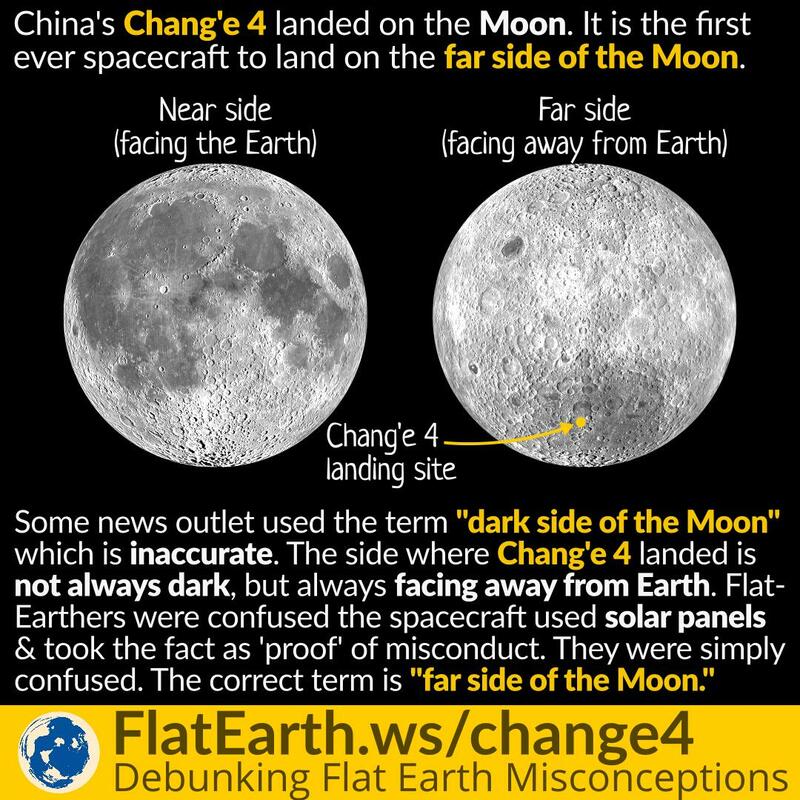 Flat-Earthers interpreted the statement rather too freely and took that as “proof” we never had the technology in the first place. In reality, the word “technology” is polyseme. It has two different related meanings. 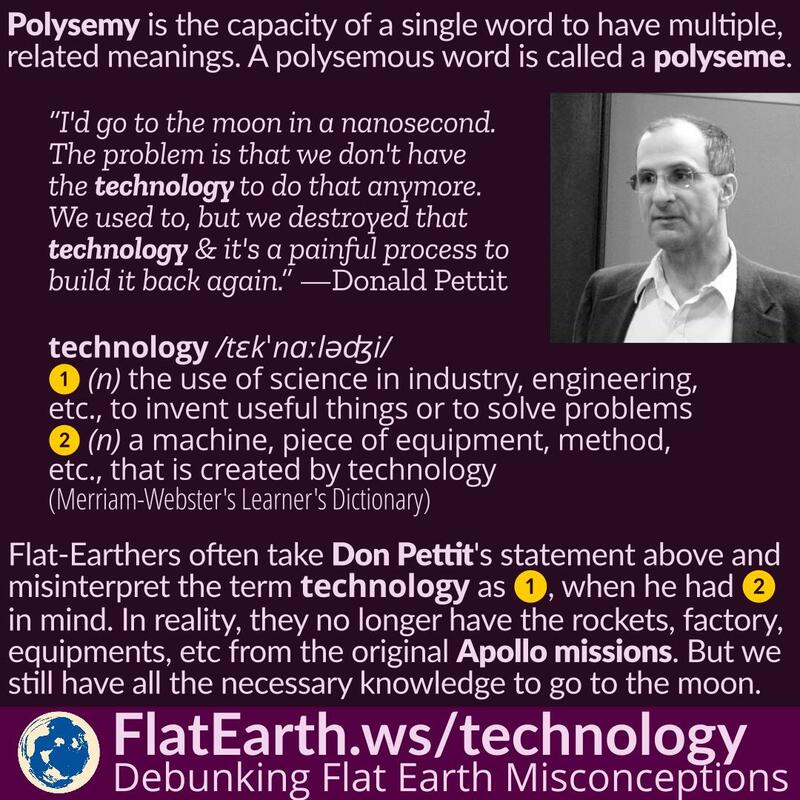 Flat-Earthers misinterpreted Don’s statement as one meaning, while Don’s intention was another. 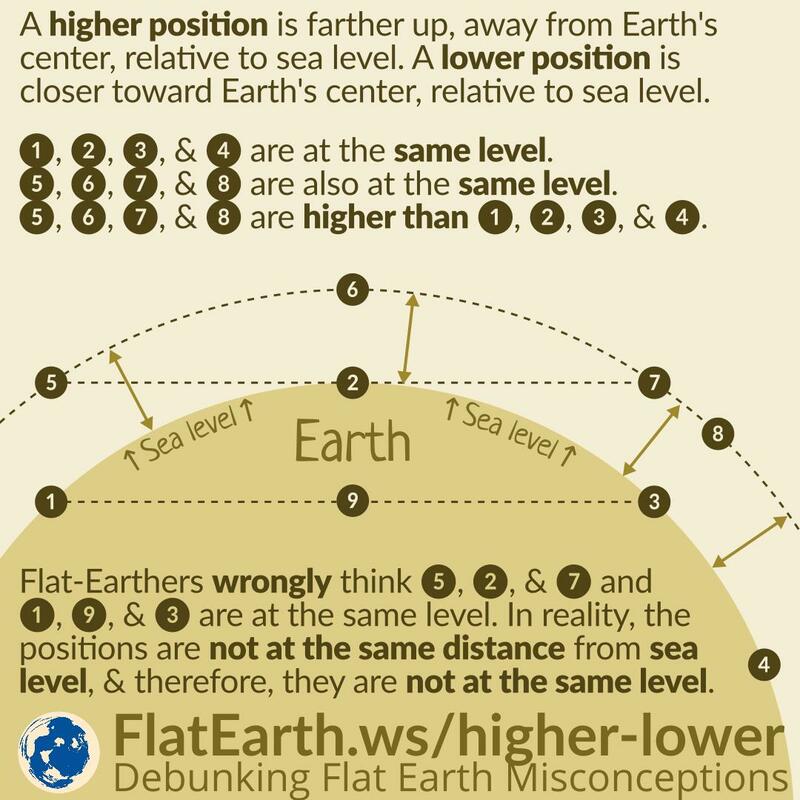 A higher position is farther up, away from the center of the Earth, relative to sea level. Conversely, a lower position is closer toward Earth’s center, relative to sea level. Two positions are level if they are at the same height from sea level. Some flat-Earthers are unable to understand this. To them, ‘level’ means straight. They are wrong. In Earth sciences, height is measured from a plane of reference, usually the sea level.